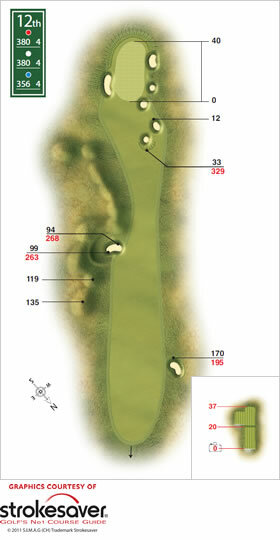 The bunker layout to the right of the green requires a drive left of centre short of the fairway bunker. This will guarantee maximum control for the second shot. The long, thin green sits at a slightly lower level than the fairway and is heavily bunkered on both sides, dropping away sharply at the left and back.